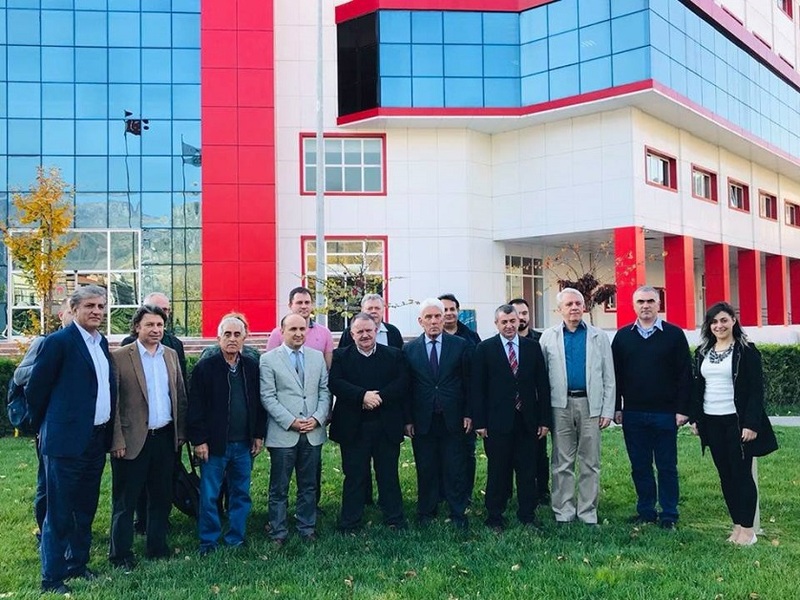 On November 7th , 2018 ,Salahaddin University-Erbil delegation consist of Professor Dr.Ahmed Anwar Dezaye president of Salahaddin University, professor Dr. Jawhar Fattah Saeed vice president for administration and finance Affairs and assistant professor Dr.Mohammed Azeez Saeed the director of grants and academic projects ( Erasmus Plus Coordinator) visited Amasya city and its university in Turkey. At 4:00 pm the delegation were received by the Rector of Amasya University professor Dr. Metin.. During the meeting, deep and detail discussion were conducted between the two rectors on starting ans establishing the academic cooperation between the two universities via Erasmus plus and Mevlana programs.In the meeting, the vice rector and director of Erasmus Plus of Amasya university were present. At the end of the meeting the president of SU invited the Amasya University rector, vice rector and director of Erasmus Plus to visit SU at a suitable time next year.